Despite the partial federal government shutdown, some U.S. Forest Service staffers are still working on a plan for a large timber sale in Southeast Alaska. Those who oppose the logging are worried their concerns aren’t visible enough during the shutdown. Leaving them to wonder how the agency can keep up with the public record when it’s not fully staffed. 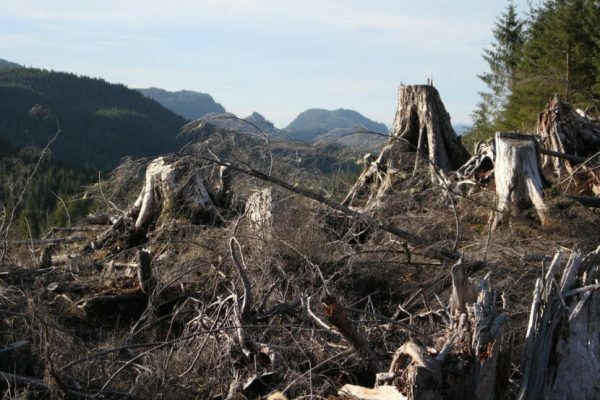 The Southeast Alaska Conservation Council, or SEACC, opposes a federal timber sale that could take place on Prince of Wales Island. The group wanted to file its objections by the December deadline and managed to submit its complaints the day before the government shutdown. Buck Lindekugel, SEACC’s attorney, assumed the proceedings would be on ice. After all, dozens of Forest Service staff in Alaska aren’t receiving a paycheck, and many of them aren’t even at work. According to the Forest Service’s website, work that should be prioritized during a government shutdown includes protecting public safety and assets. For example, there’s avalanche forecasting still happening in the Chugach National Forest. On Prince of Wales, some Forest Service employees are responding to a recent landslide. On Tuesday, SEACC received an invitation confirming another thing. Forest Service staff are continuing to work on the timber sale SEACC objected, and the project is seemingly on schedule. The Forest Service planned to hold a public meeting next week in Klawock to address the objections to the plan — basically, another milestone that moves the process along. But there’s no notification of it on the agency’s website. Lindekugel said there’s also another thing missing. He tallies up the people who’ve submitted some kind of objection. Their names are visible from the Forest Service’s website, but not the content of their objections. Lindekugel said it makes it difficult for his organization, too. How do you prepare for a meeting that’s a week away when you don’t have all the information? Owen Graham, the executive director of the Alaska Forest Association, said that’s not an issue for him. “There’s not an opportunity to sit around and talk with the other objectors and horse trade or bargain,” Graham said. Graham represents a timber industry group. He has objections to the Forest Service’s plans, too. He doesn’t object to the sale itself, but he wants to see a different version of the sale to go through. So he’s glad things are moving along, and he wants the meeting in Klawock to happen. The Forest Service did send Lindekugel the other objections this week after he requested them. Still, he believes important documents are slipping through the cracks that would inform a public meeting. On Thursday, Lindekugel received yet another email from the Forest Service. It said next week’s objection resolution meeting in Klawock is canceled. It didn’t give a reason why or provide another timeline. A spokesperson for the Forest Service said they’ll update the website about other happenings on Prince of Wales Island soon.